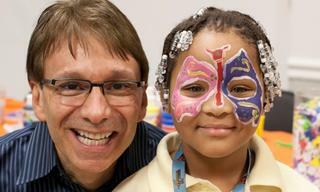 Celebrating children in our family and domestic violence shelters. Birthday parties are a normal, happy part of childhood, and the gift of a birthday party provides hope and joy in the unsettled lives of children who are homeless. Since introducing the first birthday party to the children at Regent Family Residence, our family shelter on Manhattan’s West Side, hundreds of children and their families have enjoyed the thrill of a birthday party. We call this effort Brightening Birthdays™, and the method of delivery, Birthday-in-a-Box. 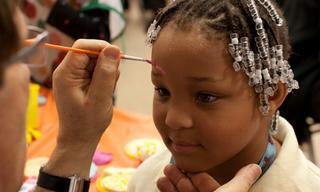 Each month, in our seven family and domestic violence shelters, all the children whose birthdays fall within that month are invited to a party where they receive three beautifully wrapped gifts, their siblings receive a goody bag, the children play games, and sometimes there is a face painter or balloon artist. 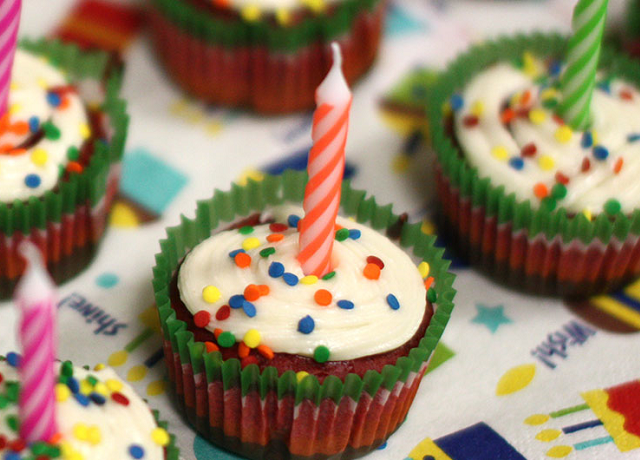 There are always candles on a cake or cupcakes to blow out. The cost to underwrite a party runs from $700 to approximately $1,300, depending on the number of birthday children. Donors may purchase and wrap gifts and goody bags themselves (following our guidelines) or wrap gifts and prepare goody bags that we can provide. In addition to packing up these items, Birthday-in-a-Box includes streamers and other decorations, a craft project, party hats and games. Volunteers create a personalized crown or name badge for each birthday child. Support Birthday-in-a-Box with a financial donation. 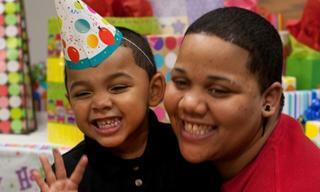 To become a Birthday-in-a-Box sponsor, contact Andrew Zibell at azibell@voa-gny.org or learn more here.